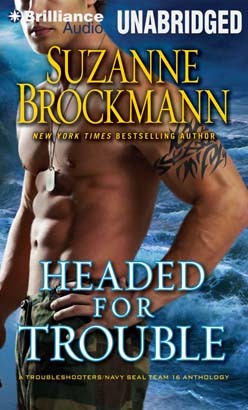 This mass market original collection is filled with never-before-released short stories and novellas featuring the beloved characters from Suzanne Brockmann's wildly successful Troubleshooters series. Packed with pulse-pounding tales about everyone's favorite special ops team, this suspenseful collection is a must for fans of the New York Times bestselling series, and is also the perfect introduction for newcomers. Tough-as-nails Troubleshooters operative Sam Starrett learns the agony of loving someone in danger - and the hell of waiting on the home front - as his wife, Alyssa, hurtles into a foreign hotspot that's about to boil over. Navy SEAL Frank O'Leary's ill-fated holiday reunion with his older brother takes a turn for the better - when a chance encounter on a rainy New Orleans street gives Frank a reason to be thankful after all. In a maze of tunnels deep beneath a military base in Germany, Jules Cassidy, Alyssa Locke, and their comrades in arms match wits with terrorists on a mission with explosive consequences. Plus more never-before-released adventures featuring Jenk, Izzy, Gillman, Lopez, Kenny, Savannah, and other members of SEAL Team 16 - along with Suzanne Brockmann's exclusive interviews with her beloved characters.